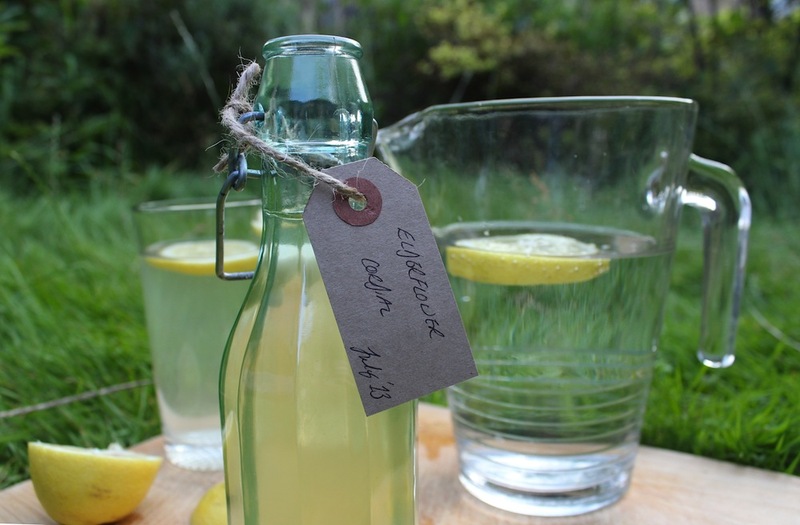 Elderflower cordial is one of those drinks that make me feel that I’m a character in an Enid Blyton book. 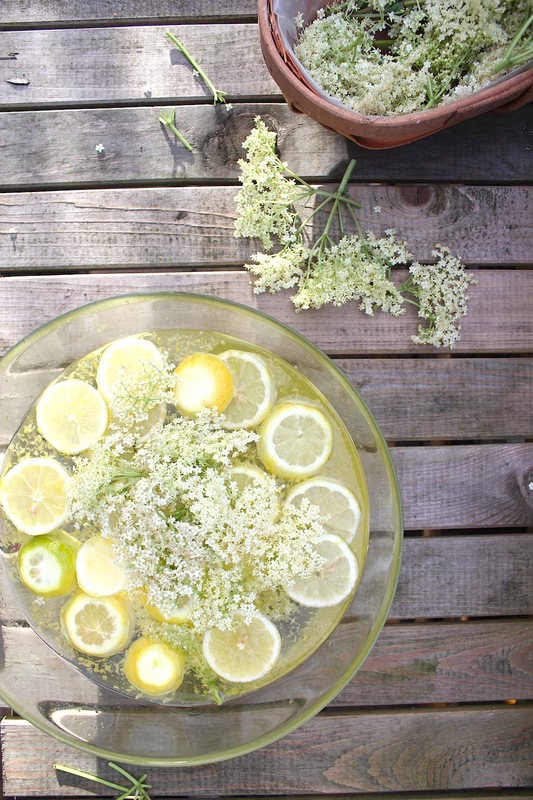 Life is better with elderflower cordial. Fact. Elderflower cordial is a bit like that for me. I love the stuff. And I feel an overwhelming urge to use words like “spiffing” whenever I drink it. But despite my great love for it, this is the first year I’ve ever attempted to make it. 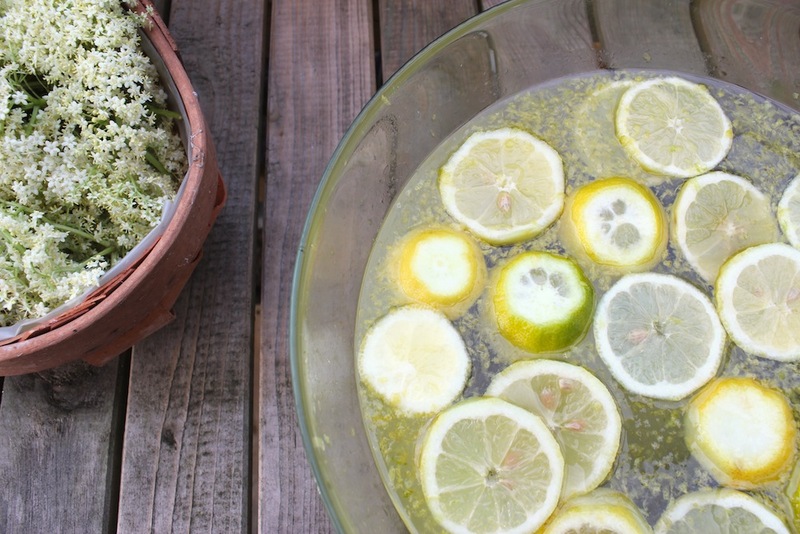 For some reason, I always had it in my head that elderflower cordial was really, really tricky to make. Despite being a prolific chutney, marmalade and jam maker, I’ve never branched out into drinks – fearing, perhaps, making something as unpleasant as my grandfather’s notorious home brewed wine used to be. 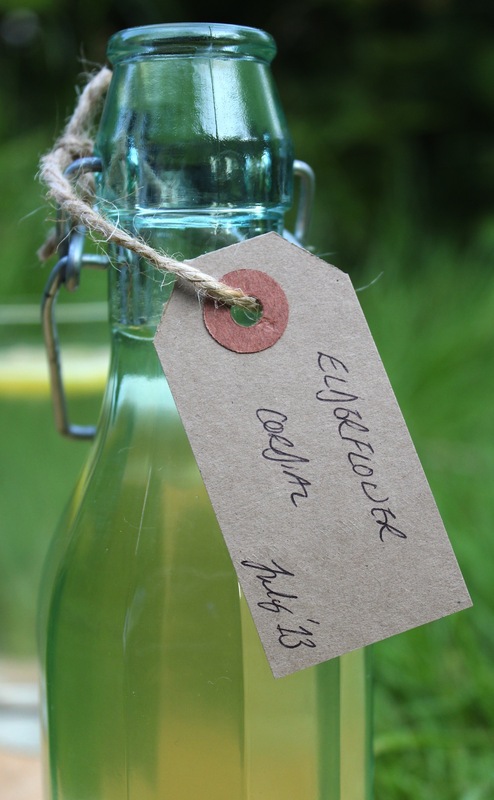 But I met up with a friend last week, who not only gave me a bottle of elderflower cordial she’d made, but also shared her recipe with me. And it turns out, it’s super simple. 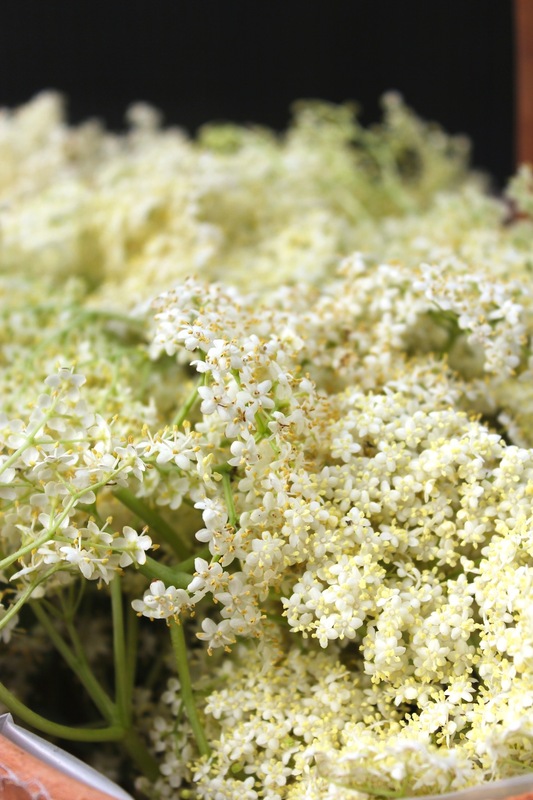 The last elderflower blossoms are still on the tree, so if you’ve been similarly put off giving it a go in the past, head out and pick some now and make yourself up a batch to keep for the summer. Boil the water and pour into a large bowl. Put the sugar in to the freshly-boiled water and stir til it has dissolved. I know, it looks too good to be true, doesn’t it? Same, it all seems too tricky. The citric acid bit anyway. I’ll have to work out where to buy it and then actually do that. But, I’ve got a whole lot of those snazzy bottles (the olive oil ones with the flip lid like yours) stashed away, ready & waiting. Lovely photos. I could do with being in my garden right now, sipping some of that. I wonder how it goes with gin? I’ve not tried it with gin, but I have had some with prosecco and that was absolutely delicious. But a little bit too delicious as I forgot it was even a tiny bit alcoholic and drank a pint glass full (I’d already poured the cordial before deciding to have it with prosecco instead of water) in about five minutes one evening. mmmm, wonderful! Ooh, black elderberry! I adore this flowers! I dry them and add at tea together other herbs: lavender, thyme, bloodroot, mint, milfoil, calendula…. Oh I never knew how good that corner shop was! I just assumed everyone could pick up a bag from their corner shops too, ha ha.